OUR MISSION: Audubon Canyon Ranch protects our natural and human communities through land preservation, nature education, and conservation science. An ACR docent is someone with an abiding love of nature and a desire to share that appreciation & enthusiasm with children aged 8-10. 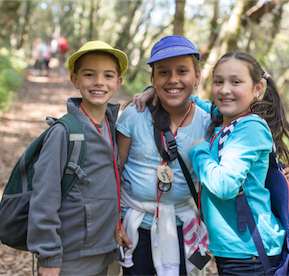 Over the course of 17 Wednesdays beginning in September, docents receive exceptional coursework in the natural history of Northern California’s diverse ecosystems as well as training in the dynamics of working with children in these natural settings. ACR partners with UC Extension’s California Naturalist program. Get the latest updates on our programs and initiatives. Join ACR today: protect precious habitat and inspire children to love nature! Audubon Canyon Ranch (ACR) is a 501(c)(3) nonprofit, tax-exempt charitable organization (tax identification number 94-6069140). Donations are tax-deductible as allowed by law.